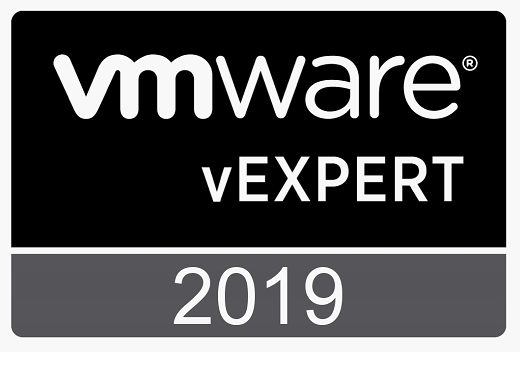 I received the VMware vExpert award this year for the first time and I’m very honored to join this community. 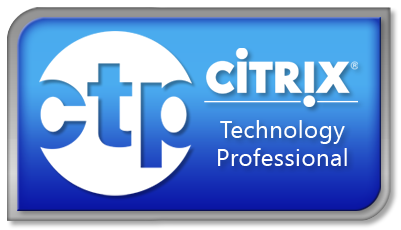 The VMware vExpert program is VMware’s global evangelist and advocacy program. The program is designed to put VMware’s marketing resources towards your advocacy efforts. 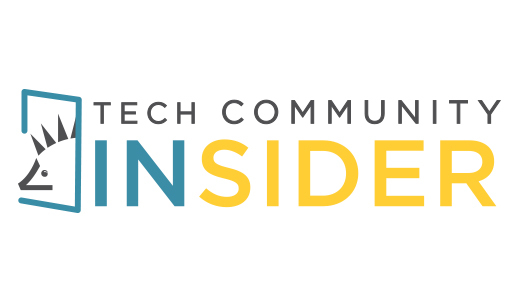 Promotion of your articles, exposure at our global events, co-op advertising, traffic analysis, and early access to beta programs and VMware’s roadmap. The awards are for individuals, not companies, and last for one year. Employees of both customers and partners can receive the awards. In the application, we consider various community activities from the previous year as well as the current year’s (only for 2nd half applications) activities in determining who gets awards. We look to see that not only were you active but are still active in the path you chose to apply for. 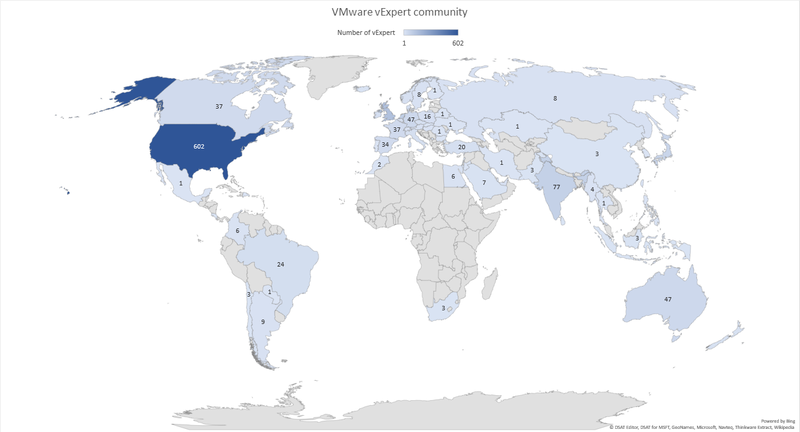 This community is pretty huge as we are now 1 522 vExpert worldwide (72 countries represented). I’ve exported the data from the vExpert directory in order to create this map. Can’t wait the onboarding process to be finished and to be able to see how this community rocks!